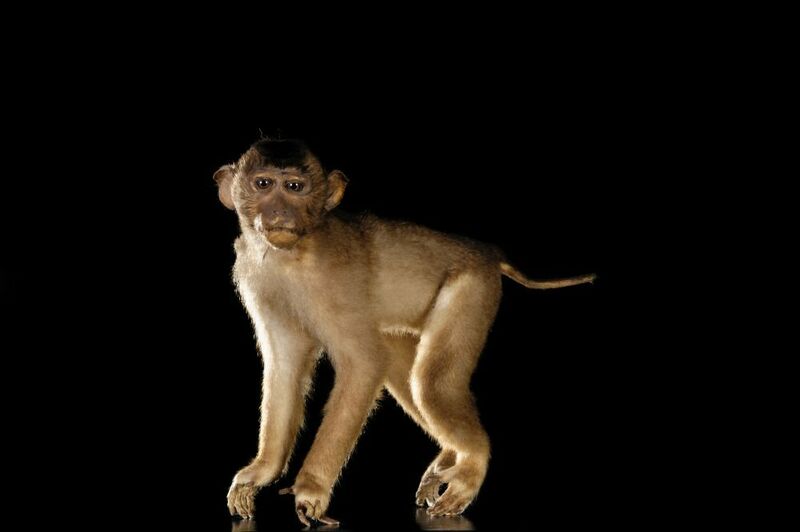 The southern pig-tailed is a medium size monkey living in humid tropical forests of Asia, up to 2.000 meters. 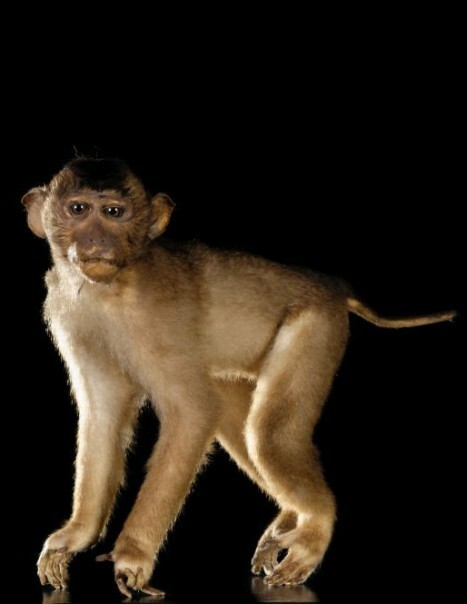 These macaques are buff-brown with a darker back and lighter lower parts of the body. Their common name refers to the short tail held semi-erect and the reminiscent of the tail of a pig. They can weigh up to 15 kg for large males. These terrestrial monkeys are skilled climbers. Like all macaques, they love water unlike almost all primates. There is a hierarchy in males, based on force, and in females, based on heredity. Thus, the daughter of the dominant female will be immediately placed on top of all the other females in the group. This is also the dominant female that leads the group, the male role is more to manage conflicts in the group and to defend it. They live in large groups up to 80 individuals which are separated into smaller groups during the day to look for food. They are omnivorous and feed mainly on plants, fruits, seeds, berries, grains, fungi and invertebrates.These monkeys have no defined mating period. Reproduction can do throughout the year. They reach sexual maturity at the age of 3 to 4 years. When females are in heat, they encourage males to mate by inflating the rump around the perineal area. They also emit cries individuals who are immediately captured by the males. A female carries only one baby at a time. Gestation lasts about 170 days. After birth, the little monkey is weaned after six months. However, it will be autonomous around the age of one year.